We in Canada have an upcoming election; and it is hoped all around that Canadians VOTE for change. In other less fortunate parts of the world governments don’t let their people vote because they do not want to lose dictatorial power. This is true in LIBYA SYRIA CHINA North Korea and Myanmar. The people recently demonstrated against a corrupt government in Egypt and won. People can win only by being united. You Don’t Want Change Don’t Vote. WE are fighting a war in Afghanistan don’t make those lives lost a waste. The video is somewhat graphic but it depicts the reality of oppression of what is really happening in less fortunate parts the world. Savour your freedom. Many have fought for it. 1. The protection of our West Coast Salmon Fishery. 4. Harm Reduction in Downtown Vancouver. 6. Oil/Development Tanker traffic on the west coast of British Columbia. I believe most of these issues are of concern for the livable future of all Canadians. Have you heard of them, do you care, have your candidates addressed these issues? The present conservative government has not. Dozens of lawyers and activists have been arrested or detained in China recently following calls for Middle East-style protests. Liu Xianbin was previously sent to prison for two-and-a-half years for taking part in the nationwide protests of 1989. As Canadians/Americans do we support China? Another generation is born we take the easier road of complacency, avoiding change, heads in the sand. The future will be interesting? Artist disappears, for speaking out. 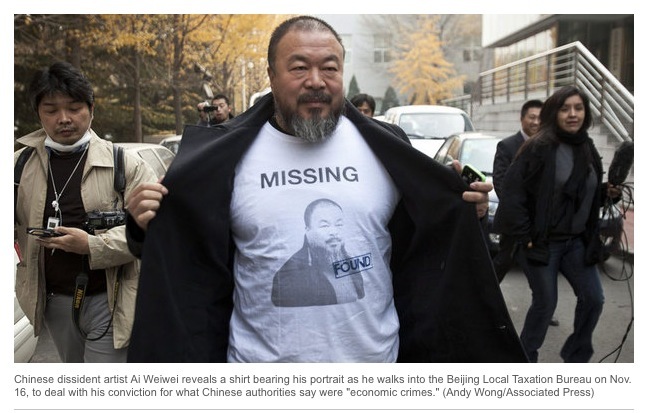 China detains famous artist Ai Weiwei for economic crimes. Any dictatorship will destroy all opposition. People that speak out go, People that have ideas are a threat. You destroy all thinkers, Writers/artists, teachers lawyers and doctors. People that might be capable of facilitating change are nuked. Read this magazine it’s great ….. and Canadian. 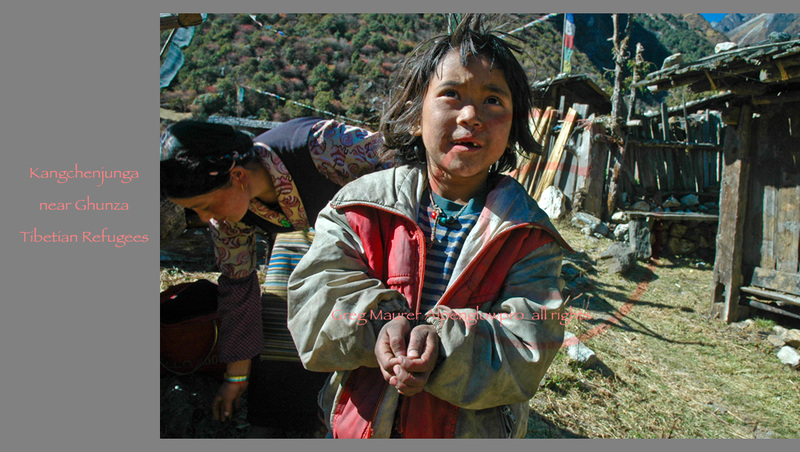 A similar event largely unreported, occurred in Fall 2006 on the Tibet-china Nepal border at Nangpa Pass. Innocents, Tibetan refugees including children and a nun were murdered by Chinese soldiers, shot from a distance slow moving targets in thigh deep snow in full view of a guided western climbing expedition. The leader of this expedition balked at interfering/reporting the incident concerned he would loose economically. Several of his guides under the threat of employment termination leaked the story to miniscule response from western press and governments. Heighton’s piece metaphorically responds that we can not idly standby taking no action personally or nationally as ineffectual bystanders. Many Thanks to Steven for making us think. Now all we have to do is act. Yvon Chouinard’s (the founder of Patagonia) 2005 dictum on sustainability and the transcendence toward local based economies from a reluctant businessman’s point of view. 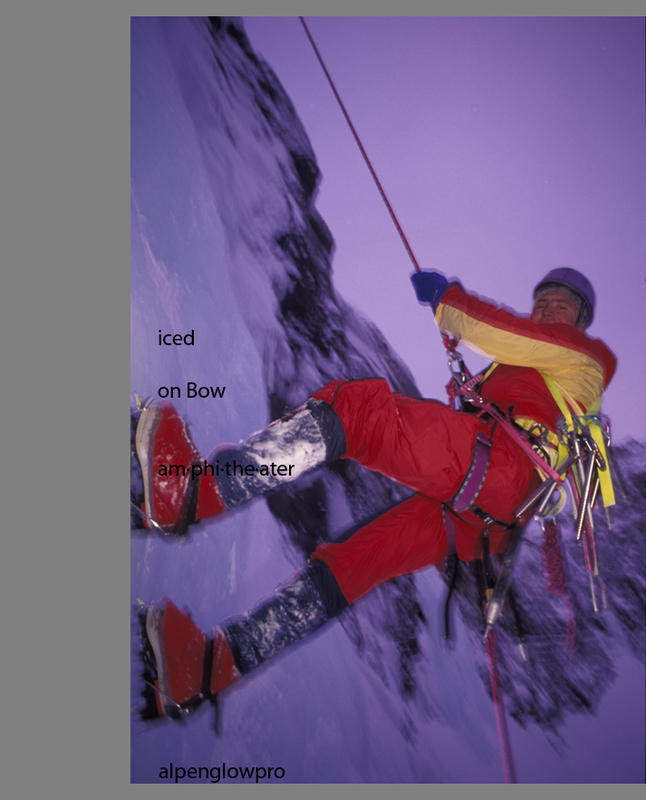 Much of the book is devoted to Patagonia’s philosophies on the environment, business and design. …state of the world report in 1991 stated “with an annual output of $20 trillion, the global economy now produces in 17 days what it took and entire year to generate in 1900. Already, economic activity has breached numerous local, regional, and global thresholds, resulting in the spread of deserts, acidification of lakes and forest, and the buildup of greenhouse gases. Hmmm, that was 18 years ago. That was before industry in the far east torqued in. What happens when you become dependent on world economy and growth that can not be sustained? Rather timely one would think. Everything needs to be re-thought. Your place in the world needs to be re-thought. Where is your place in the world? What do you value in your world? *Worldwatch Institute delivers the insights and ideas that empower decision makers to create an environmentally sustainable society that meets human needs. Worldwatch focuses on the 21st century challenges of climate change, resource degradation, population growth, and poverty by developing and disseminating solid data and innovative strategies for achieving a sustainable society. Tibet a canker on China’s backside. Why …does China support freedom?… Is it happening there? Why?….natural resources, imperialism, economy. Tibet as threat, religion as threat Dalai Lama as threat. It’s disgusting that we put economy and wealth ahead of morals and ethics. China…. do you support China? Is there an echo of Europe 1936? Embarrassments both what are the commonalities here? 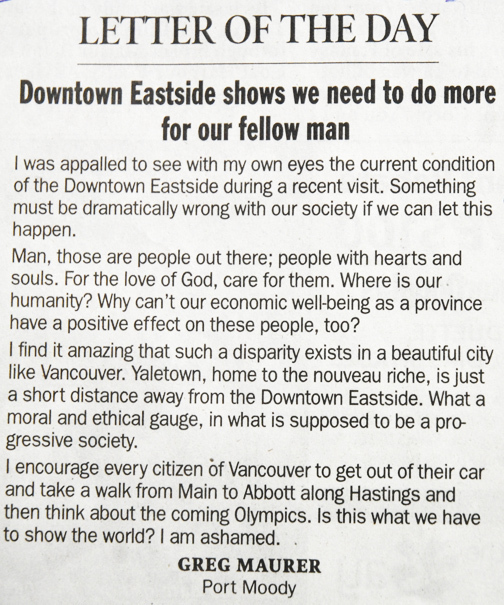 I wrote a letter to the Vancouver Sun last year about the disgrace of the DT Eastside and the Olympics I drove through the area today nothing has changed. Hey conscience rules Spielberg pulls out of creative director job for Beijing 2008. Chinese support of genocide in Sudan has nothing to do with peace, just suffering. How do you support China? Sudan, with its vast oil reserves, sells some two-thirds of its oil to Beijing. In turn, Beijing sells weapons to the Sudanese government. China spent 37 Billion Dollars on its military last year. LHASA, June 18 (Xinhua) — China will begin Monday building a “highway” in Tibet on Mount Qomolangma EVEREST, the world’s tallest peak, without asking Tibet. Budgeted at 150 million yuan (19.7 million U.S. dollars), construction of the Paved road will kick off at Everest North Base Camp 5,200 meters above sea level. The project aims to turn a 108-km rough road to the Base Camp into a blacktop highway fenced by undulating guardrails. The project will take about four months. On completion, the highway will become the major route for tourists and mountaineers who are crowding onto Mount Qomolangma, known in the west as Mount Everest, in ever larger numbers. So how do you market and sell the Dalai Lama to make a profit? How do you market compassion, forgiveness and tolerance to make a profit. Is there economy in it? Business leaders in CANADA and CHINA think the Dalai Lama is bad for business. China thinks he is a terrorist and a threat to their nationalism. What do you think? China does not want CANADA to acknowledge what the Dalai Lama represents otherwise CHINA threatens the loss of economic partnership with CANADA. Do we need China? “Queen’s University is selling its investments in two Chinese oil companies that are doing business in the war-ravaged Darfur region of Sudan.Principal Karen Hitchcock said yesterday the university has directed its fund managers to divest its investment, endowment and pension funds of PetroChina and China Petroleum.” I am proud to see Canadian Students at Queen’s University be the catalyst for this change. They took a stand. Someone told me a while ago that they were only interested in living an opulent lifestyle at what ever the cost. Is your lifestyle at the cost of the Sudanese, the environment, or……. He probably is but that’s not enough to sequester my vote. The environment, sure its a hot topic. 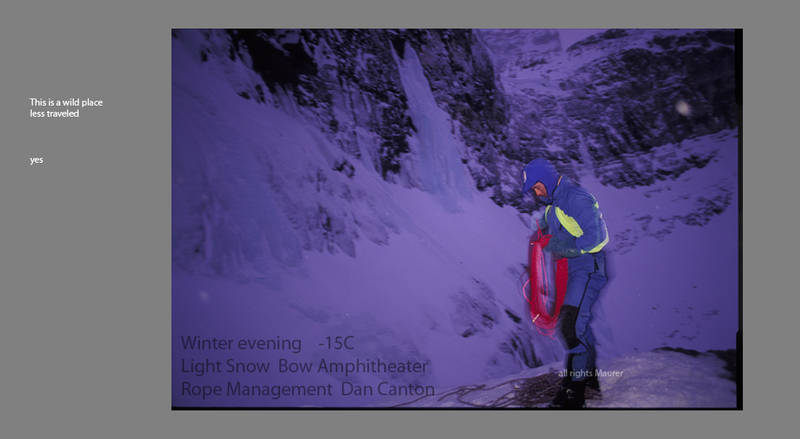 For anyone that has been outdoors for the past few decades you would have to be blind to not notice changes. Climate, ozone, intensity of the sun, the onslaught of pests taking advantage of environmental stresses are and have been impacting flora,fauna and eco-systems negatively. When Kyoto was ratified in the 90’s a change could have been enacted then. Maybe it would have slowed down some changes, who knows….another decade has past and now climate change has become very topical. At least the word is out and the average joe might now be able to enact his vote to make change happen. Will there be a positive impact who knows. Dion supports trade with China so is inadvertently supporting everything from pollution to social injustices. What we need is to use our own resources mental and physical to put Canada on the map. China wants Canada’s banks to become more involved in investment. Once that happens withdrawal from that sphere will become very difficult. Canada’s manufacturing industry is devastated….the once thriving Canadian apparel industry, for example, has almost been totally nuked. The Liberal’s could have changed that but they did not. I will not vote Liberal or Conservative, they are not forward thinking enough for me, they will jump on any current bandwagon to get a vote, a positive change has to be made. Contrasting headlines in todays Globe and Mail. China’s military hardware spending 37.5 Billion dollars US. Research and development to put China on top in digital warfare likely double that amount 80 Billion. China destroys satellite via satellite. China wants Canadian Banks to invest more.